Erin McBride, Mickey Bushell and Maria Lyle were among the winners on the second day of IPC Athletics European Championships action in Swansea as a world record and several European records were also broken. 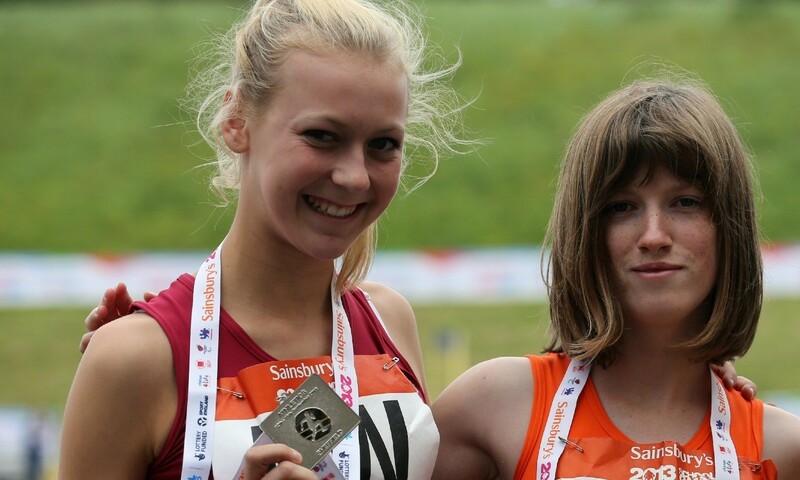 With a time of 13.58, 16-year-old McBride, pictured above with GB team-mate Sophie Hahn, claimed T13 100m victory. It was her first medal of the championships, as despite finishing second in the 400m the day before she hadn’t received a medal with there only having been two competitors in the event. McBride was joined in her winning ways by Lyle, who at just 14 years of age is already the T35 100m record-holder. Lyle finished more than a second and a half clear with 14.92 to dominate on her GB debut. Bushell added European T53 100m gold to his Paralympic title, clocking 15.58 to beat France’s Pierre Fairbank with 15.78, while Russia’s Margarita Goncharova won the T38 100m ahead of world record-holder Hahn and her GB team-mate Olivia Breen. Jade Jones was another to grow her medal collection as she finished third in a T54 5000m won by Switzerland’s Manuela Schaer in 13:20.04. With 13:56.66 Jones adds European bronze to the Commonwealth medal of the same colour recently claimed in Glasgow. A Swiss athlete also took victory in a men’s T54 1500m event missing GB’s David Weir through injury as Marcel Hug went two better than his third place finish in the 400m event to claim gold in 3:21.55. The 400m win had gone to Kenny van Weeghel of the Netherlands. A European record fell in the men’s T13 5000m as Russia’s Alexey Akhtyamov clocked 15:07.13 when finishing behind T12 athlete Alberto Suárez Laso of Spain. The first world record of the championships was broken by Serbia’s Drazenko Mitrovic as he bettered his own F54 mark with 33.68m when competing in an F56 discus competition won by Azerbaijan’s Olokhan Musayev with 41.63m. Earlier on and Ireland’s two-time world and three-time Paralympic champion Michael McKillop had taken gold in the T38 800m event having returned this season from injury. His time of 1:58.16 is quicker than the T38 world record for that distance, though as McKillop is classified as a T37 athlete it will not be recognised as a world record. Kyron Duke won the final medal of the day for GB with silver in the F41 javelin. Other GB medallists on day two included Paul Blake with silver in the T36 400m, Isaac Towers with silver in the T34 800m as team-mate Ben Rowlings got bronze and Stephen Osbourne with bronze in the T51 100m. Libby Clegg, who had been one of GB’s strong gold medal hopes for the championships, was forced to withdraw, the reigning T12 100m and 200m champion suffering from a viral infection.